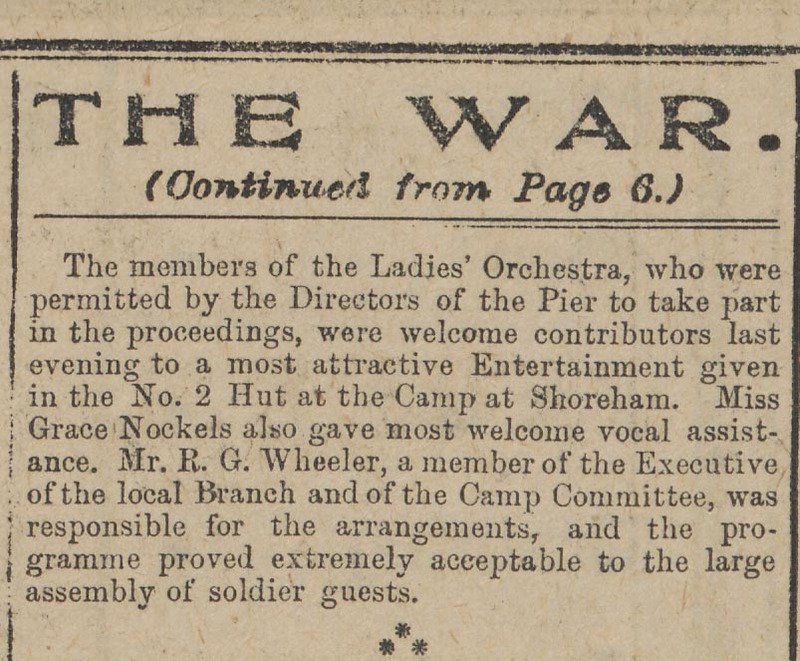 The members of the local Ladies’ Orchestra provided entertainment in the Camp at Shoreham. On this occasion a large assembly of guest soldiers gathered in No. 2 Hut for the most attractive evening’s entertainment. They thoroughly enjoyed the performance, especially the presence of Miss Grace Nockels who gave the most welcome of vocal assistance. 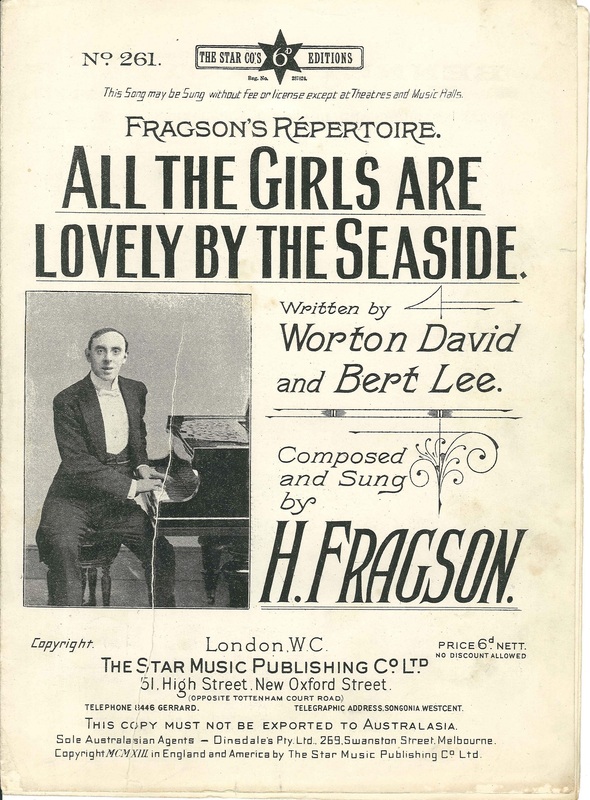 Sheet music played by Stan Ward a soldier who entertained whilst stationed at Shoreham Camp in 1917-1918.